I moved out here to Calabasas in 2010 and my girlfriends were all on the west side and wanted to take me to SoulCycle for my birthday. So I met them in West Hollywood and they took me to SoulCycle and brunch afterwards. And it was with Pixie. It was crazy. First of all, these WEHO people… every bike is taken, everyone is so serious and everyone is intense and I loved the class. Pixie is hard rock, which is where I come from. I worked in the music business and I had '90s hard rock music on the mind all the time. And Pixie really got us going. It was really awesome. 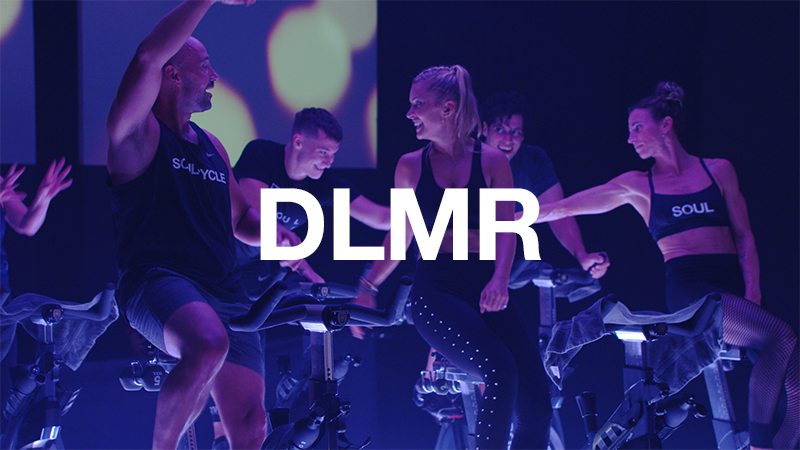 What set that class apart from other indoor cycling classes? The reason it was set apart was the whole SoulCycle attitude. I was really feeling like, "I have to try a new indoor cycling class with new people I don't know? 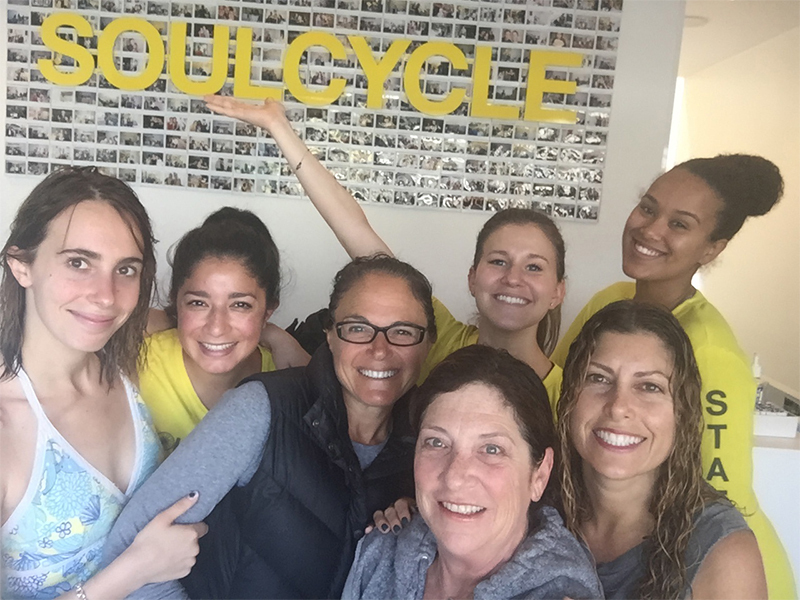 Cliques…" And I felt like SoulCycle was really welcoming and I loved that you got your towel and water and gum and I loved the locker and I loved it being clean. I loved it. I was upset because it was just so far away from where I lived at the time. What made you come back for the second time? SoulCycle was going to be my link to my friends back in the city. We were going to meet and take SoulCycle, shower, grab a drink and shower. Before the Calabasas studio opened, the drive to another studio was 20 minutes, but you still needed more than dinner as a reason to go out there. So we would meet, take class and have breakfast. The connection was what got me back. What about the mind, body and soul connection? From the day I started there, my dad had cancer. That was six years ago. So that was the only place where a doctor wasn't talking to me about a diagnosis, a pill, treatment, an illness… I would go to SoulCycle, I would turn my phone off and whoever was teaching made it about us. And I love that. So it was a good place for you to decompress. SoulCycle was always about us and you guys could tailor anything that you were saying to our own life. So I would close my eyes and although the entire world around me was about death, illness and medication, that didn't get into my bubble. My bubble was what you guys were saying or when you were telling us to jump. I blocked everything else in the world out. I had to be around my dad all the time. I had one hour to myself. And it was like this bubble that was an escape and it was the only way I could do anything for myself. A run took too long and it was too hard to commit to a time. At SOUL, you committed to a class, blocked out the bullsh*t and were just happy. And that's the thing, SoulCycle is happy. It's not sad or depressing. Happy. 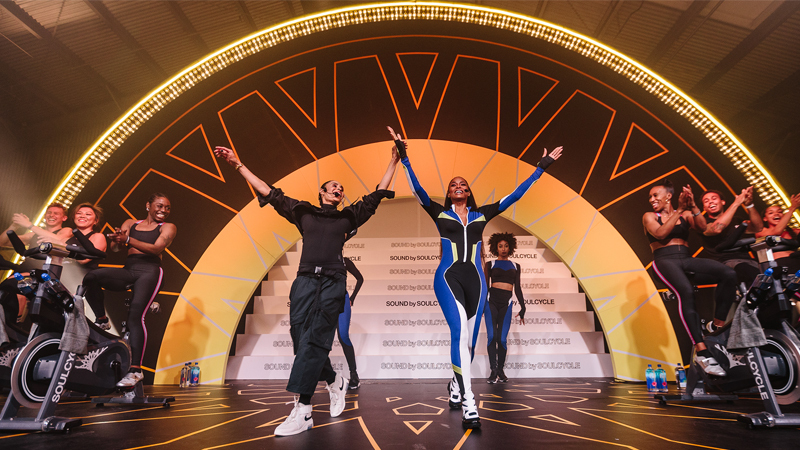 When did your love for SoulCycle really solidify? I loved Pixie and Roarke, but when MLBU opened up, my whole world did too because I was able to get to Malibu in 15 minutes, take a shower and then visit my dad in the city. So that's when I got to go to SoulCycle religiously. Literally religiously. Do you have any favorite rides or anecdotes? One of my first memorable rides was instructor Lindsay Buckley bopping around the room. And to walk in and see this adorable little blonde girl come in, and it not be about her hot body and perfect person and make it about us, somehow she always tailored a song at the end to us and you thought it was about you, but it applied to the whole room. And then MB started teaching there. And instead of tap backs she would say "Come here, get outta here." And it was forward and back and forward and back. And then you [Franz] came along. And you make word associations that makes us laugh and cry and heal. I don't know what it is about you guys, but you keep your own personal strife out of there and you bring selflessness to us. You take your own personal stuff, push it aside and make it about us. That's what I'm going for. You do so much for me that you don't even know about. MB does so much for me and Lindsay Buckley did so much. You dig into our souls and you get past things you never ever thought you would get through. Everything I've gone through in the past four years, I've gone through with SOUL. Connection to me is the most important. And I truly feel like if I'm not in class, you guys notice. Tell us how SOUL has been involved in your cancer diagnosis, treatment and recovery. SoulCycle got me through my dad's illness and death because it was the only escape that I had. 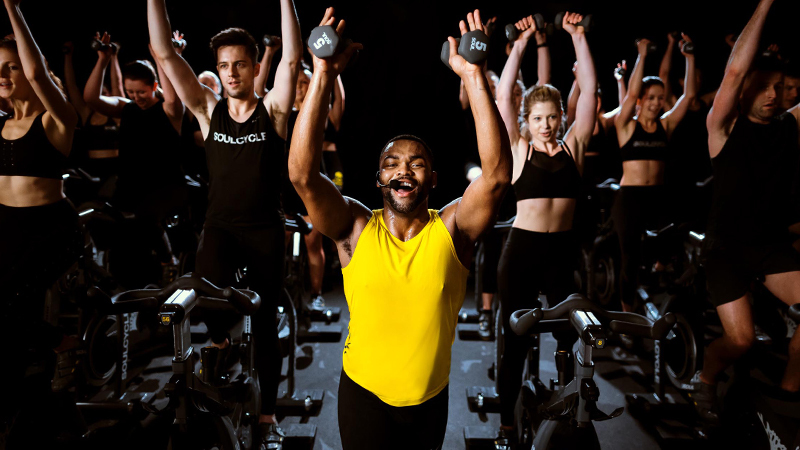 If I was out to dinner with friends, I felt guilty, but if I was at SoulCycle taking a class, I was like, I have to do this for me before I see my dad. I’m glad we could be a support for you during that time. So where did you go from there? I decided the January after he passed that I was going to lose a bunch of weight. I had taken care of everyone else but me and I started taking SOUL three or four days a week and I went on this big diet. By March, I had lost 22 pounds and I felt the cancer in my breast. I was in the shower and someone had taken my loofah sponge. So I was using the soap and washing my breast underneath my arm. It was under my arm and there was this huge lump there. It was on a Thursday night at 11:00 PM and we had just taken a night class in Santa Monica. I’m sure that was worrisome for you. On Friday morning I called the doctor who knew my mother and he said to come Monday morning. I felt it for three whole days, but I thought he was going to tell me I was fine. I went to SoulCycle Malibu, took a class and then went to the doctor thinking I was going to be fine. Thank God I went to class that morning because they did more than 50 tests on me that day: Mammograms, ultrasounds and then at 6:00 PM the doctor looked at me and said I had to come back the next morning for a biopsy. My whole life crashed down on me. At that point nobody knew. Nobody at SoulCycle knew. And then five days later, they told me I had breast cancer. It was March 6th. I said I wanted it out as soon as possible and we made the surgery date for April 14th. So between those dates I went to SOUL but I never told anybody. And then the day before my last class, all my friends had called and said they wanted to meet for lunch after SoulCycle. So we all got to SoulCycle and they had balloons waiting for me and all my friends were there. It was Lily who had asked me what was going on. I whispered in her ear what was going on and she started hysterically crying. She couldn't believe I hadn't told anyone. Mary found out, and we all took the class. We came out and everyone was crying and everyone was telling me I was going to be fine. Up until that moment I had put everything aside and told myself that I was going to make it through that I didn't realize I was going to have both my breasts removed the next day. Tina was crying; she couldn't get off my shoulder. In that moment, I realized that this was my family. At lunch, all my friends were blown away by the love that I received from SoulCycle. And then I got home and there were these flowers sent from the studio. It was this big orchid and it truly was the best thing I received. 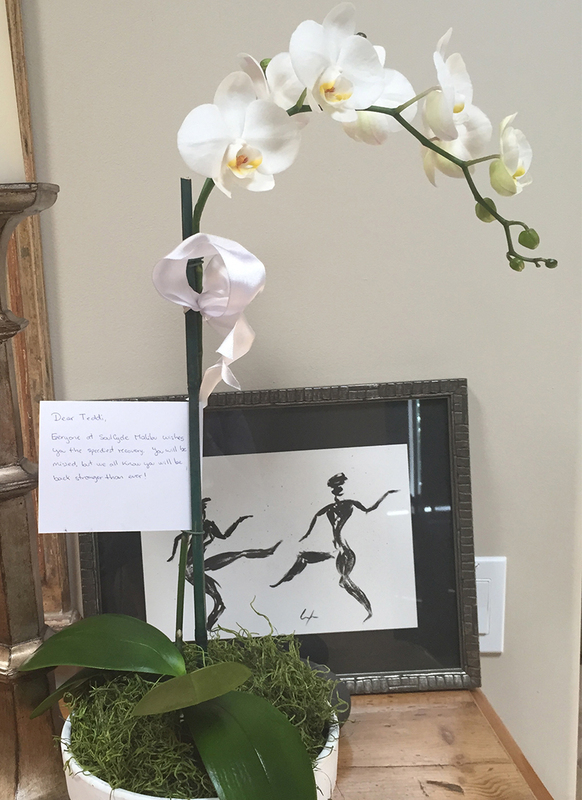 That orchid meant so much to me, because you guys only knew me as my current Teddi. I didn't even think anyone liked me because I was so sad. This was about me now, not about the Teddi everyone grew up with. You loved me for me, as I am today. My nightmare was not being able to get back on the bike. What were you thinking about that morning before surgery? If I have chemo and radiation then my life is going to be over. As strong as everyone thinks I am, I just prayed that I caught this early enough that I would never need chemo or radiation. And the only reason I thought that was because I had seen my father-in-law, my mom and my dad, and a lot of my friends go through chemo and it kills you. It kills your spirit. But I've also seen a lot of people go through chemo and it makes them strong. But I just knew that that wasn't an option for me. 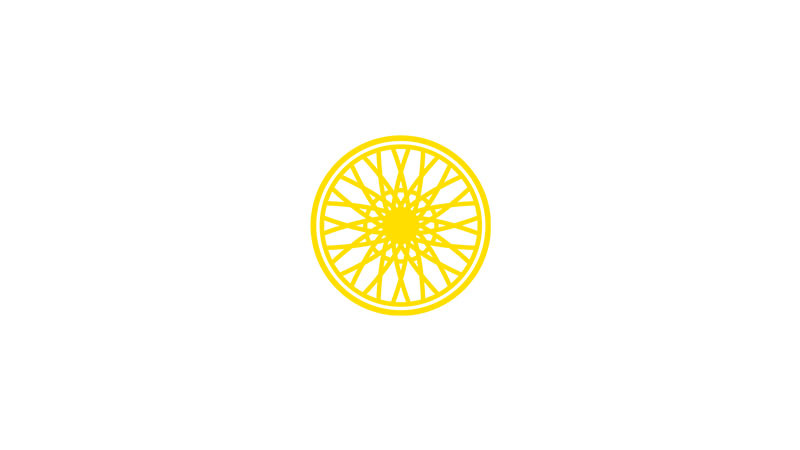 What did your first day back at SoulCycle mean to you? I was so nervous every minute, every day. And I had made this date I wanted to go in my mind and I wrote it on my calendar. I had made a decision to go on this certain day. The day came and I couldn't do it. But then I made it for two weeks later and it was your class. And I came there and I felt like everyone there welcomed me back as if I were at a family reunion. I really did. I couldn't believe it. I was in this surgical bra — that's how insane this was — and I knew I couldn't raise my hands above my head. I walked in and Tina started to cry and Lily started to cry and you [Franz] came out and gave me a hug. I basically cried throughout the entire ride without anybody knowing. I just couldn't believe that my life brought me back to this amazing place where everything you said was for everybody. But to me, it felt like you were only talking to me. I just couldn't believe that I had my breasts removed and I was back on this bike. And it was because of you guys that I even wanted to come back. It's a huge thing to lose a part of your body. It's a huge thing for a woman to lose her breasts. So to come back to this place where people knew you as a whole person and now you're not a whole person anymore in your own mind, to be welcomed back like that was so special. You are just so brave, Teddi. It's inspiring. Growing up in Beverly Hills, a lot of people are all about the money. But SoulCycle isn't about the money and the people aren't about the money. My entire healing process, I couldn't have done it without you. I feel like some people go to therapy, some people go to temple or church, but for me, that's what SoulCycle has been for me: A temple, a church, an AA meeting, everything. It has been everything that gives me strength besides my family and kids. The community is one of the best things about SOUL for all of us. I don't have parents. You are my family. There is just no way that I would be at this point in my healing today without it and without you. You bring us back to earth and to what we're thankful for. I feel like I have to focus on what I'm grateful for because I have lost so much that is important to me. I focus on the good things and the things that we have, not the things I don't have. I cry during the last song in your class almost every time. Whether we're climbing or running it out, I cry because I'm just so grateful and thankful, for my friends and family and for SOUL. I just love you guys. Have a SOUL story to share? 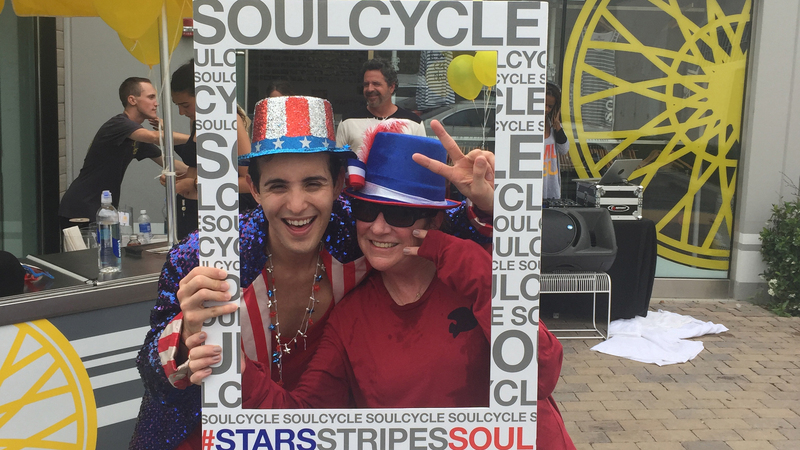 Email SOULlife@soul-cycle.com! Want to ride? Grab a series HERE and book a bike!